Every audiophile knows that outdoor speaker placement is probably the trickiest and most complex thing to achieve with your outdoor speakers but they are so crucial in enabling you to get the sound that you need. To begin, it is important to note that there is really no one correct answer to speaker placement – that depends on many factors which we will discuss below. This is really because every scenario is different and requires a different approach to sound optimization. Your personal preferences may also merit a departure from the norm. We provide a helpful approach that you can follow in 7 easy steps to optimise the sound through careful audio positioning. We have also featured some of the best outdoor speakers in our top reviews, such as the top weatherproof speakers, patio speakers, rock speakers, outdoor ceiling speakers and rugged portable speakers, so be sure to check them out! Any outdoor speaker is bound to be subject to environmental pressures such as rain, thunderstorms, erosion and sunlight. It’s always better to consider placing your speakers under the eaves of your house, where the overhang will partially shield your speakers from these environmental factors. As to outdoor speaker placement, traditional issues such as soundstage and imaging do not really come into play here. Instead, the central issue is sound coverage from your outdoor speakers, and it’s good to place one speaker higher up to one side of the area and the other speaker at the other side as far apart as possible for the widest range. As a general rule, do not separate the two speakers by more than 20 feet or else you might end up hearing the speaker that is closer to you and not the furthest speaker. The best method is to “aim” the two speakers towards a central area in an equilateral triangle that you want to cover to enjoy the best stereo effects. As a general rule, professional installers recommend using one pair of outdoor speakers to cover an outdoor area between 200 to 400 square feet (a corresponding patio or deck measuring 20 x 20 feet should be the maximum area served by a speaker pair). How the speakers sound from a distance will also depend on the directional aiming of your speakers, so aim your speakers at a sweet spot where you want your guests to experience the maximum stereo effect. One way to achieve this is to place your outdoor speakers on a high ladder support and play audio music from it before actually drilling a hole in the wall or the ceiling. 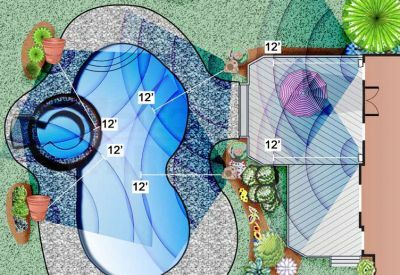 This trial and error will help you discover the ideal outdoor speaker placement for your backyard. Once you’ve found that great sweet spot for your speakers, the next step is to fine-tune your outdoor speaker placement. This is done by correct angling your speakers instead of aiming them straight at the rear wall. This will improve their staging and imaging by reducing reflections off the side walls. Angle your speakers and listen to them while standing in the centre of the open space until a perfect center sound “image” sets in. 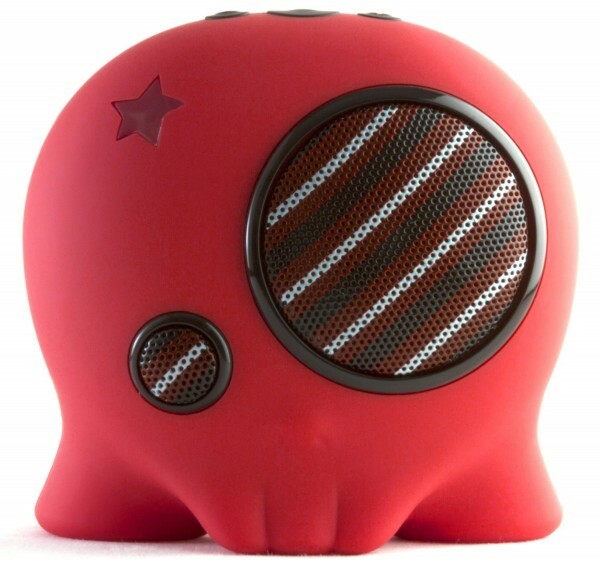 Listen for a wide soundstage with good focus, where the bass is tight and the treble is detailed. There are really no fixed rules on how to angle your speakers but simply angle them until they sound perfect. When you have a particularly large open space (patio + swimming pool), the key here is to add more speakers around the area to produce good quality environmental surround sound. Your guests can enjoy music by the pool while those sitting in the patio can also relax comfortably with 2 dedicated speakers. The other alternative without the pool speakers is to blast music from the patio speakers, but this would disrupt the comfort of guests at the patio. High-frequency speakers cannot reproduce low-frequency bass thumps and require a subwoofer to do so. The chief problem with outdoor speakers is that bass reproduction is often not strong enough, so you’d only hear stereo sound from them due to their small sealed enclosure design. If your outdoor set-up does not include a subwoofer, then consider getting one to increase the bass response. Your outdoor speakers will not usually have boundaries common to indoor rooms such as walls and ceilings that reinforce bass. Hence, consider placing an outdoor subwoofer closer to the wall (or in a corner) of your patio to increase the bass output and provide some supportive bass reinforcement. Although subs can be placed anywhere with good reflective surfaces since bass is omni-directional, it is useful to pick out the best spot where the subwoofer sounds the best by playing music with your speakers and walking around the patio. When you find that sweet spot where the music sounds the best, that is exactly where you should place the subwoofer. 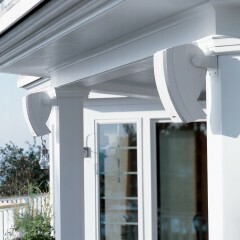 An outdoor speaker that is mounted between two intersecting surfaces under the eaves will increase its bass response because the bass amplifies by reflecting off these surfaces. Outdoor speakers are limited in their bass output because the open space in your backyard is not going to interact with the bass waves in the same manner as the four walls within your room. Mounting your outdoor speakers against the exterior walls therefore helps to increase bass response, but don’t expect the bass to get very deep simply by virtue of outdoor speaker placement. Better quality speakers are key to producing warm, punchy and dynamic sounding bass, but consider Step 4 – adding a weather-resistant subwoofer unit if you want that extra punch in your music. Outdoor speakers require a good deal of sound amplification to power them because they fire into large open spaces. An amplifier with at least 80-100 watts per channel should be considered for outdoor purposes, as power input from lower-end amplifiers is too low and will likely drive the amp into clipping and damaging the speakers. If you plan on running multiple pairs of outdoor speakers, you need a multi-channel amplifier. This is because every time you add another pair of speakers to the circuit connection there’s a risk of overworking the amp. A multi-channel amp designed for audio distribution is the safest and most flexible way to run multiple speakers in your outdoor environment. For wiring that runs longer than 40 feet, use 12-gauge speaker cables to avoid losses from resistance. For speakers located away from the house at a pool or patio area, do consider using a 12-gauge direct-burial cable rather than running cable along the ground for aesthetic purposes. 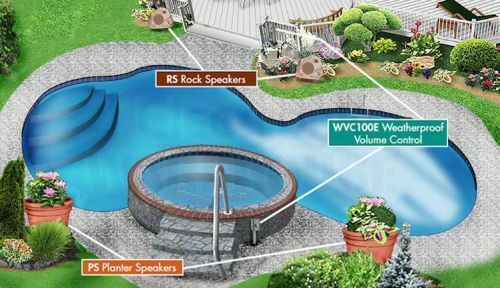 Estimate the amount of wiring required before purchasing your outdoor speakers. 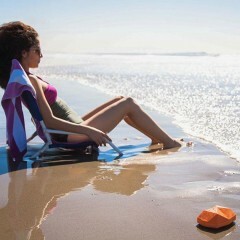 The ideal sound placement would be an outdoor speaker to cover each zone in your outdoor spaces. In the figure to the left, guests at the table can adjust the volume to a comfortable level while those at the pool can also enjoy music at their own volume level. All this is controlled by a single sound amplifier connected to two separate WVC100E Weatherproof volume controls. This is probably going to be one of the most experiment-based steps but it’s important to ensure that the volume of the surrounding speakers to be adjusted to its optimal level. For instance, you want to make sure that the volume from the side speakers are not too loud or overpowering, and not too soft so that they won’t be heard. Adjusting the volume of your respective speakers can take time and effort, but once you get the balance right you should be able to hear good sound staging from your listening position. The best way to do this is to get a single-point speaker that has both right and left inputs that plays simultaneously to ensure that the sound distributes evenly – with the correct outdoor speaker placement. Place multiple single-point speakers in a straight line across your garden edge within the same distance between speakers for best performance.